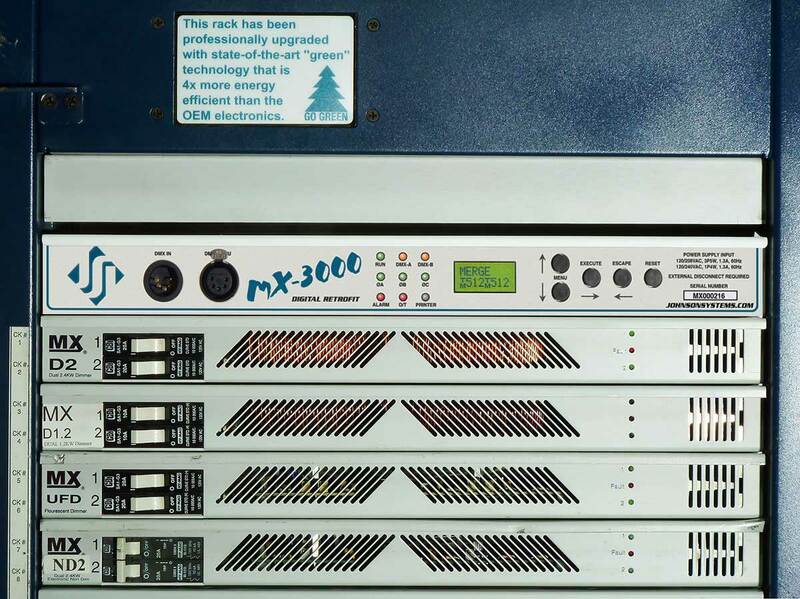 The MX-3000 is a next generation retrofit electronics package designed specifically for upgrading the EDI/Cooper MX Series performance dimmer racks making system replacement completely unnecessary. This full-featured, state-of-the-art control module provides a direct digital interface to most of today's modern lighting communication protocols. 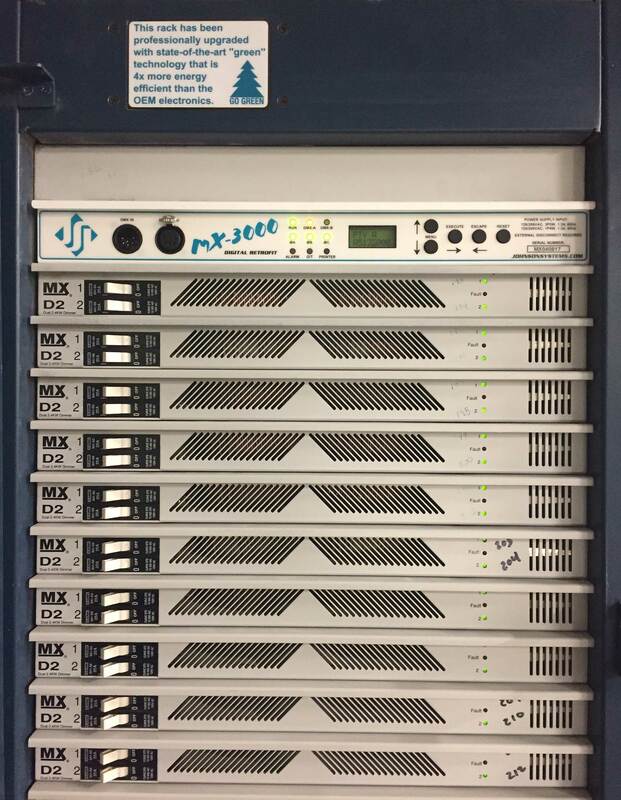 Designed based on the successful 3000 Series control technology developed by JSI, the MX-3000 shares identical firmware and features as other popular 3000 Series products. 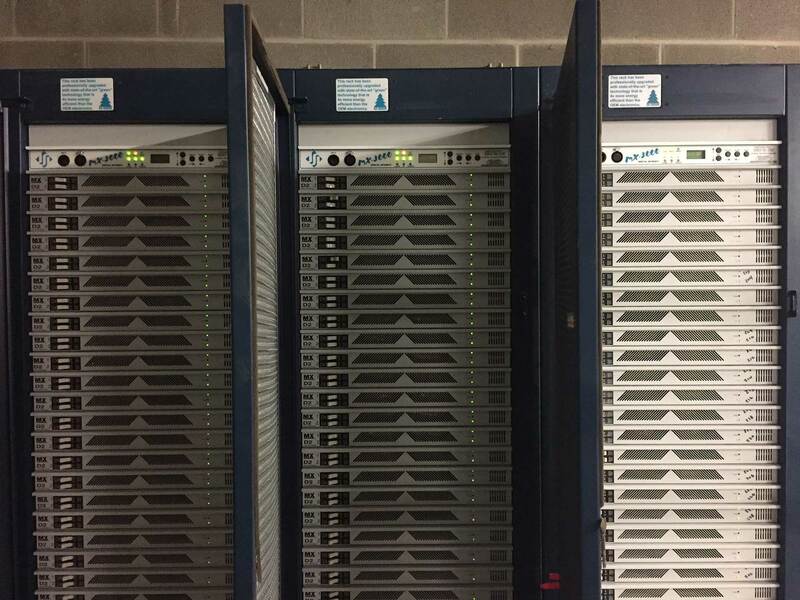 The MX-3000 installs in minutes by simply "plugging" into the existing OEM backplane. This compact unit has been designed for OEM rack compatibility, longevity and reliability with the end-user in mind. Intuitive LCD user interface combined with a single modular design makes the MX-3000 extremely user-friendly and easily serviceable. Advanced next generation hardware and software designs reduce stand-by power consumption to less than 1 Watt, allowing for compliance with the International Energy Agency's "One Watt Initiative" for standby power consumption. 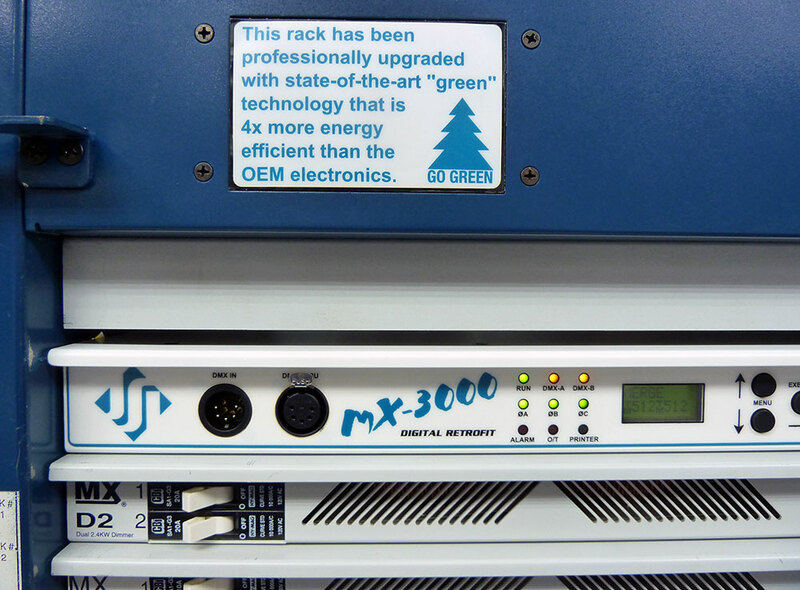 MX-3000 is over 4x more energy efficient that the obsolete OEM electronics! Full featured, hi-resolution dimming with ultra-fast response. Exclusive "lamp warming" techniques extends lamp life considerably. 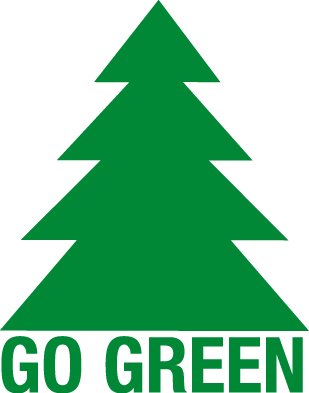 An environmentally and financially responsible solution that offers unsurpassed high performance in a matter in minutes! Johnson Systems Inc. products are ETL listed and comply fully with UL508 and CSA22.2 No 184 electrical safety approvals. 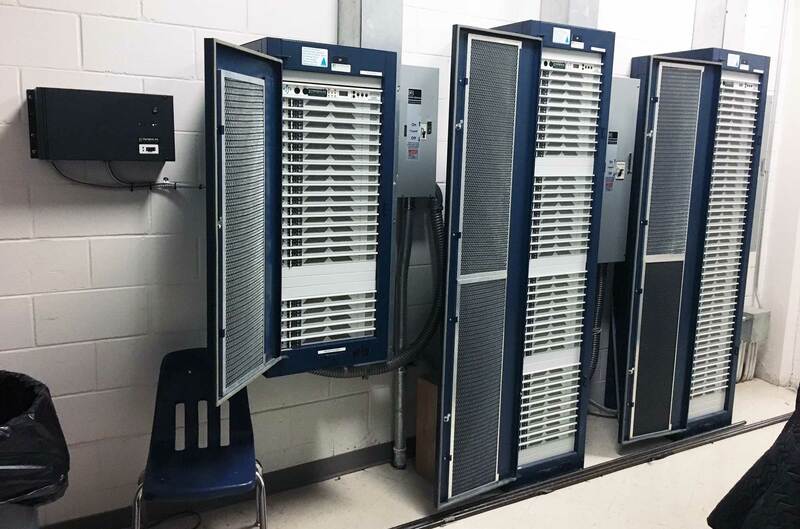 This Internationally recognized safety approval covers the entire assembly specifically for installation into an existing UL approved enclosure (OEM rack) and in no way compromises the electrical safety of the overall system. Official documents available on request. Compatible with OEM dimmer rack backplane and input PCB's for fast easy installation. Installs in minutes. 4x more energy efficient than the OEM electronics. Unique "lamp warming" feature lowers the dimmer to cold lamp filament by up to 70% resulting in significantly increased lamp filament life and lower cost of ownership. 96 Hi-resolution digital outputs with individual dimmer profile selection. Individual channel threshold trigger in 10% increments for non-dim control "hard-fired" loads. Dual opto-isolated DMX512 inputs with built-in protocol manager. Analog and dedicated dry contact BMS inputs for interface with HVAC, security and fire alarms. "Load Shed" inputs for power management, occupancy sensor or photocell interface. Removable memory dongle permits remote/off site backup of configuration data and ease of future firmware upgrades. This product is available through authorized JSI dealers only. Please contact our factory for pricing. These products are energy efficient and consume less than 1 watt. Compliance with the International Energy Agency's "One Watt Initiative"